A few Sundays ago a bunch of us headed down to Sunway to do some dyno runs with a friend of ours who was doing some dyno tuning on his Evo 6.5 Tommi Makinen Edition (still considered one of the most powerful evos ever made). I was gonna do some dyno tuning too, but due to some problems I was having decided it’d be better to do street tuning first and polish off on the dyno later. 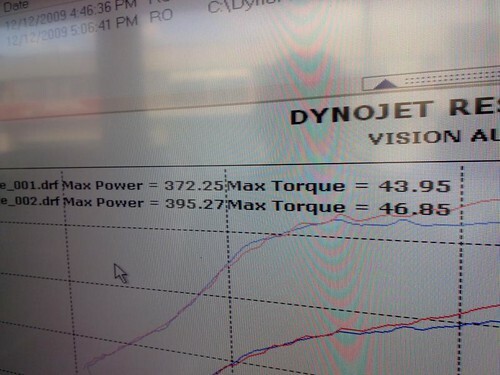 The dyno is the latest model of Dynojet and seems fairly accurate according to our own calculations of engine HP. Anyway will talk more about dynos later when I dyno my own car hehe. This was the car that was being tuned with a custom Vipec setup, not too sure on the car mods but pretty sure it has fully forged internals and some other minor mods. 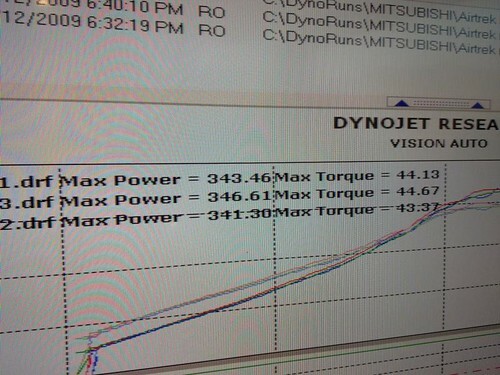 When it started it’s dyno runs it was hitting about 340bhp on the wheel, soon after that 365bhp. This is what it sounds like fully open in 3rd gear, pretty mean eh? The black smoke from the exhaust was due to the ECU dumping fuel into the engine just before the gear change to protect it. It was dumping a little too much fuel though causing some unburnt fuel to come out of the exhaust and be burned by the heat of the exhaust tip. You can see another run and the Dynojet software in action here. After some more tweaking it managed to make 395bhp on wheel running about 1.8bar boost on the turbo (high boost application). Normal day to day boost for this car should be around 1.5-1.6. It can still go a little higher, but the fella forgot to pump petrol before hitting the dyno so he was out of fuel. Next up was the monster Airtrek we saw on the track at Sepang a while ago. If you’ve never heard a Mivec Turbo up close, this is what it sounds like.. This trek is also using the Vipec ecu, some tuning was done and I think it got up to about 365bhp on wheel, but the exhaust had far too much backpressure (muffler already collapsed) and the wastegate was having some problems too. After the issues are settled and some additional wiring done I think the monster trek will easily be making over 400bhp on wheel. I would estimate my car should be putting around 190-200bhp on wheel if everything is running smoothly…so both of these monsters would leave me standing haha. More on Project Airtrek soon. Almost everything for stage 1 is settled now. oooo, @MR2lan shall be humble. 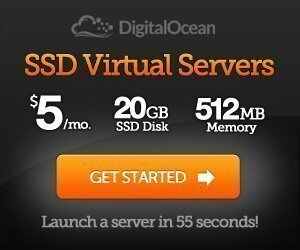 So when is stage one? ECU remap etc..? Can a Myvi do Dyno tuning also? But Tommi Makinen’s edition of evo is sweeeet! ST recommend GTAuto heartbreak dyno for you, their DynoJet has the most accurate dyno in the industry. awesome stuff. might not relevant for my myvi. Anyway nice meeting you at the Friso Gold Family day. Mark: Stage one for me is ongoing, mostly repair stuff and some minor improvements on existing mods. JD: I’m not sure about tuning, but can do Myvi. You’d have to check Myvi forums for info about your ECU and remapping. mykars: GT Auto over reports 10-15% horsepower due to lack of retarder. I know they have ordered latest dynojet model, but I think not installed yet. Azizul: Not unless you add a turbo or supercharger 🙂 Nice to meet you too. That is some machine. I’m not a tunning specialist but those pictures and movies show that so many great things can be done to a car. Devil/Kazu: No Tom’s it only just opened. 170hp on the wheel is ok la, more that enough for most people.